Heart On Fire is an interesting blend of styles. 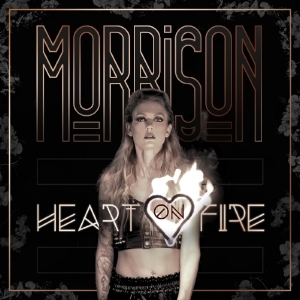 The sheer vocal range of Morrison touches upon high registers and low notes equally, with the unifying feature being her unmatched authority. The dramatic, epic backing beat presented to fans during Heart on Fire establishes a soundscape that is as rich as any vocal line. Together, these two sections unite to make for a single in Heart on Fire that will stick with fans long after the effort ceases to play. We’re expecting big things from Morrison in the months and years to come. Check out the stream for Heart on Fire below the jump and let us know what you think.